Trick Or Treat – what more can you possibly give The Shindig? Haven’t you given enough already? Surely there are no more Halloween delights under your thin candy shell. Oh, but there is – a thick nougat center of Monster Rap awesomeness. In between all the Fastway rocking of the Trick Or Treat soundtrack, tucked away so’s you might not even notice, is this curve-ball of horrific proportions. 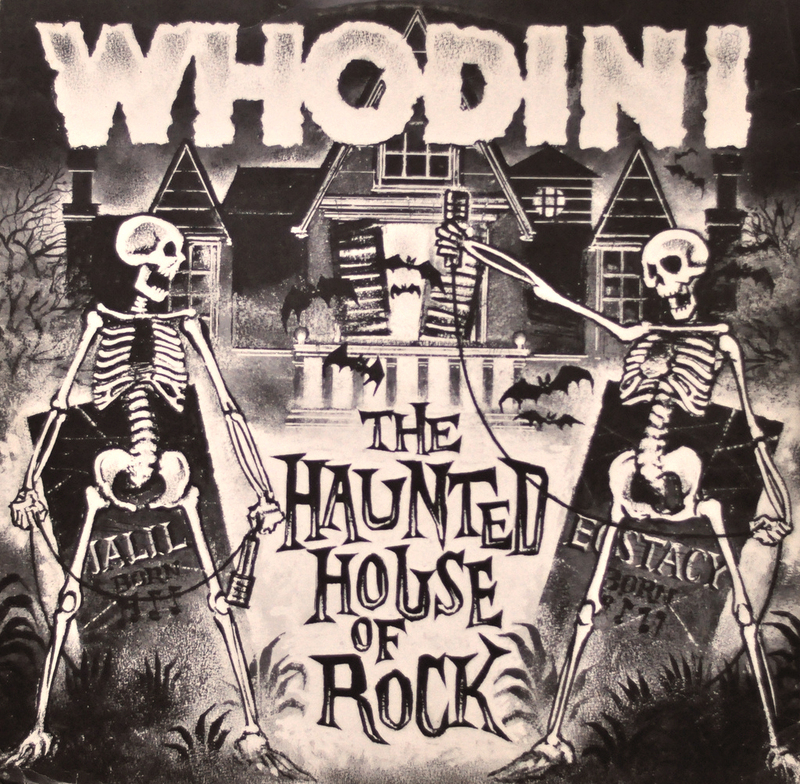 From 80’s Hip-Hop maestros Whodini comes one of the finest Monster Raps featured on The Shindig, The Haunted House of Rock. Played during the Halloween Dance sequence, just before Roger turns the speakers over to Sammy Curr’s backwards metallic cassette, Whodini rocks a rhyme about the monsters and mayhem taking place at the titular haunted abode. What is this song doing on this soundtrack? What is this song even doing in existence? I don’t have an answer to either question, but in both cases I’m sure glad it is. Succeeding in just about every way Lovebug Starski’s Amityville fails, The Haunted House of Rock features an actual Haunted House propagated by a multitude of real ghouls with no sign of any Starship Enterprise crew members in sight. Amityville only outshines it for a brief moment when Dracula raps. That’s pretty huge and should not be ignored. Don’t get me wrong, I love me some Amityville and it’s ridiculously unhaunted tale, but Whodini delivers the goods in way Starski only aspires to and they remain the champs of the Haunted Monster Party Rap game. The Haunted House of Rock may even be the champ of the Monster Rap game in its entirety. But it does have some stiff competition. If you Iike your Monster Raps a bit more specific, Are You Ready For Freddy might be your speed. If you like them a bit more ridiculous, then maybe The Maniac Cop Rap is the winner. Or if you like your Monster Rappin a bit more whack, then The Monster Squad is just what the doctor ordered. But for my money, when it comes to legitimacy, Whodini is holding it down with this old-school hip-hop horror hit and its inclusion in Trick Or Treat just ups the ante. I saw everybody there, except you. Let’s change that this year.